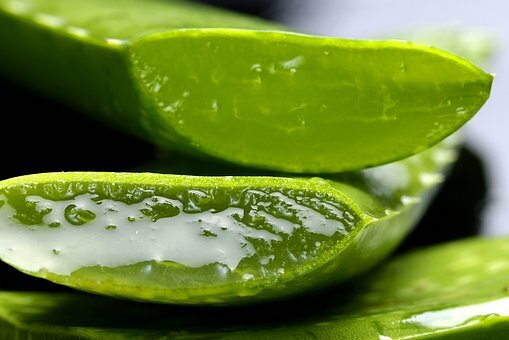 How to use aloe vera for acne scars should not be arbitrary, there are several proper steps should be done to get rid of acne scars effectively. Here are the steps of making aloe vera mask from fresh aloe vera in order to get rid of acne scars. Prepare some fresh aloe vera. Take the aloe vera flesh by peeling its skin. Puree the aloe vera flesh by using a blender. Add a little bit of lime juice or lemon juice, turmeric, and pure honey to the blended aloe vera. Apply the aloe vera mask to the entire face. Do this treatment before you are going to bed at night and wash your face cleanly in the next morning. You are able to apply this aloe vera mask twice a day to effectively get rid of the acne scars. As we already know, there are a lot of skincare products which are made from aloe vera as the base, one of them is a moisturizer. Aloe vera moisturizer is also able to get rid of acne scars, but there are some proper steps to do in order to get a maximum result. Here are the steps. The first thing you have to do is cleanly washing your face and also your hands. If you wore a makeup before, you are suggested to do a double cleansing. Clean your make up with milk cleanser first, then wash your face with facial foam. After you cleanly wash your face and hands, apply toner to your face. The toner will help the next skincare you apply to be absorbed more optimally. Moreover, it will also tighten your pores. Next, apply the aloe vera moisturizer thoroughly onto your face before you got to bed at night. When you wake up the next morning, cleanly wash your face with warm water. Routinely do this treatment at least twice a day in order to get a satisfying result. If you apply the aloe vera moisturizer routinely, the acne scars will be faded perfectly. You are able to see and feel the progress in the first week if you routinely apply those steps of how to use aloe vera for acne scars. 0 Response to "Using Aloe Vera to Get Rid of Acne Scars"